Illinois is home to many different wild animals. While some provide entertainment as they feed on birdseed, others can get into your trash or surprise you with an unpleasant smell. Whether you are looking for a way to critter-proof your home or wondering what animal was just outside your window, knowing what animals are common in your area helps enable you to live together harmoniously. While you may recognize the American robin or the blue jay in your backyard, Illinois is also home to a wide variety of backyard birds. Whether you reside in urban or suburban locations in Illinois, a backyard feeder with seed will attract many different bird species.These include the white-breasted nuthatch, black-capped chickadee, mourning doves, downy woodpecker, house finches, house wrens, northern cardinal, cedar waxwing, common grackle, American goldfinch, white-throated sparrow and the ruby-throated hummingbird. Waterfowl and game birds common throughout Illinois include the Canadian goose (Branta canadensis), mallard (Anas platyrhynchos) and the Eastern wild turkey (Meleagris gallopavo silvestris). Illinois is home to reptiles and amphibians ranging from harmless skinks and frogs to snapping turtles and the venomous copperhead snake. Amphibians, such as the American toad (Bufo americanus), gray treefrogs (Hyla versicolor), Western chorus frog (Pseudacris triseriata), bullfrog (Rana catesbeiana) and the tiger salamander (Ambystoma tigrinum), typically live in moist areas, near ponds throughout much of Illinois. Around your home or office building, you may find Eastern box turtles (Terrapene Carolina), brown snakes (Storeria dekayi), common kingsnake (LAmpropeitis getula) and garter snakes (Thamnophis sirtalis). Near water, you may come upon snapping turtles (Chelydra serpentia), painted turtles (Chrysemys picta) diamondback water snakes (Nerodia rhombifer), Mississippi green water snake (Nerodia cyclopion) and the plainbelly water snake (Nerodia erythrogaster). While some of these creatures can be found in Northern Illinois, the majority of reptiles reside in the south and southwest parts of the state. Venomous snakes in Illinois include the copperhead (Agkistrodon contortrix), cottonmouth (Agkistrodon piscivorus), Massasauga (Sistrurus catenatus) and the timber rattlesnake (Crotalus horridus). The Massasauga is an endangered species while the timber is a threatened species. These animals typically do not bother humans unless threatened. While the majority of these venomous snakes call the southwestern part of the state home, the Massasauga can be found throughout the state, typically in fields or marshlands. Other mammals in Illinois include predators, such as the red fox (Vulpes vulpes) and bobcat (Lynx rufus). These mammals typically leave humans alone but can come into residential areas and prey on small pets. 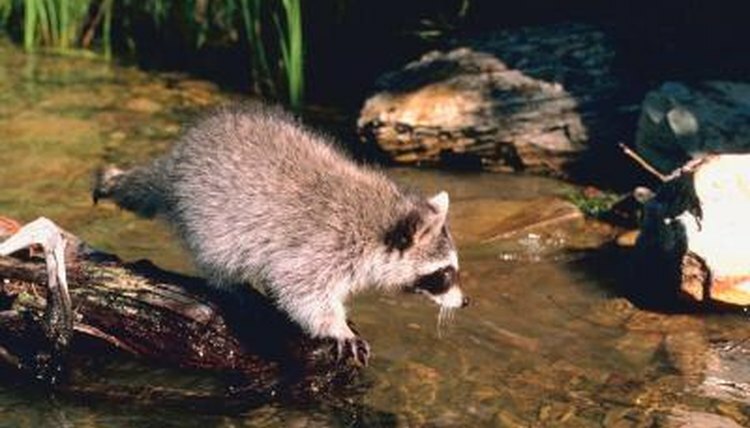 Scavenger animals common in Illinois include the raccoon (Procyon lotor) and the striped skunk (Mephitis mephitis). These animals typically feed on small rodents, snakes, insects and vegetation. In neighborhoods however, they can dine on the contents of your garbage can, often creating a large mess in the middle of the night. The most common large mammal found in Illinois is the graceful white-tailed deer (Odocoileus virginianus).